A Fine Selection of Georgian Swords. The company, formed by the partnership of long term LAPADA member Steven Bosley and Sally Bosley, has over the past 25 years established itself as one of the leading international specialist auction houses dealing with every aspect of military antiques, be it a humble soldier's uniform, a group of medals or a fine piece of Georgian campaign furniture. From its onset it has been their aim to provide both the buyer and seller with the best possible confidential service. To vendors, who often send unidentified and unresearched items, they are provided with a free service that often rectifies this; on one occasion a quantity of swords with long forgotten histories arrived on the doorstep. One of them, which was estimated at £300 before any research, was to prove a real gem. After painstaking work in the saleroom's extensive reference library the identity of the original owner of the sword was discovered and that he had carried this sword through the Campaigns of 1812 in the Peninsular and later when wounded at the ill fated Battle of New Orleans in the Americas. 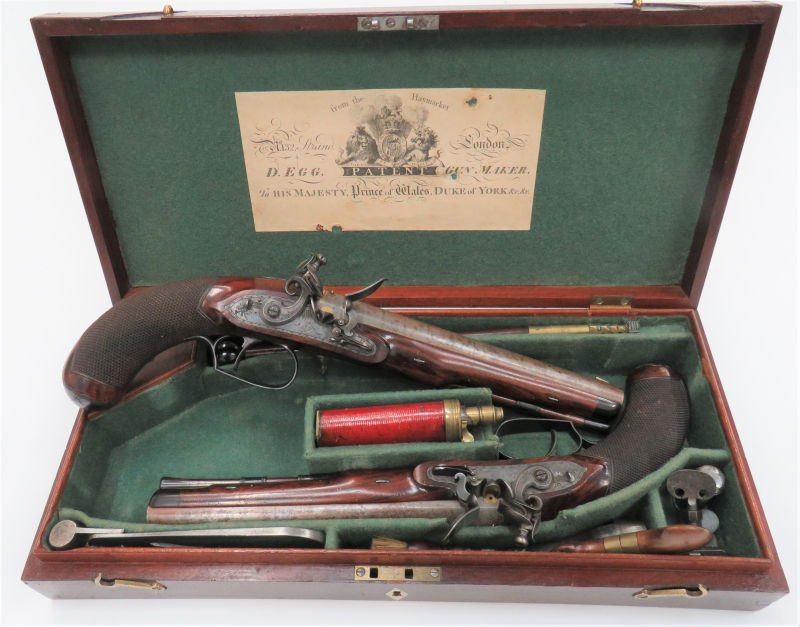 This research service gave the delighted vendor a surprise when the hammer fell at £1,600! The added attraction of no hidden lotting, photographic or unsold charges attracts a wonderful selection of items which arrive from all over the world. 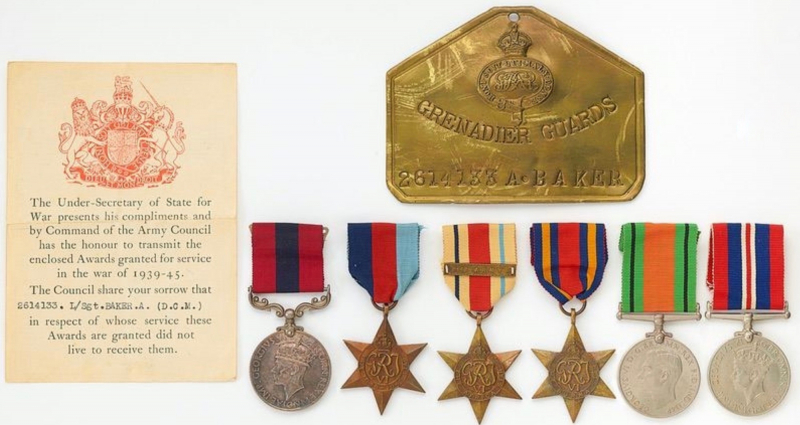 Recently a small box of rather insignificant badges arrived, at once Bosleys spotted a real gem and gave it the right type of pre sale publicity, placed it on the front cover and achieved a world record price of £4978 for a humble cap badge much to the vendor's shock and delight! The purchaser can also reap the benefits by knowing that all items are vetted for authenticity and are accurately described in the large format colour illustrated catalogues. Great lengths go into ensuring that photographs are of the finest clarity and a true representation of each individual item. Should more information about a particular lot be required, then all it takes is a telephone call to receive more information from a person familiar with the subject. 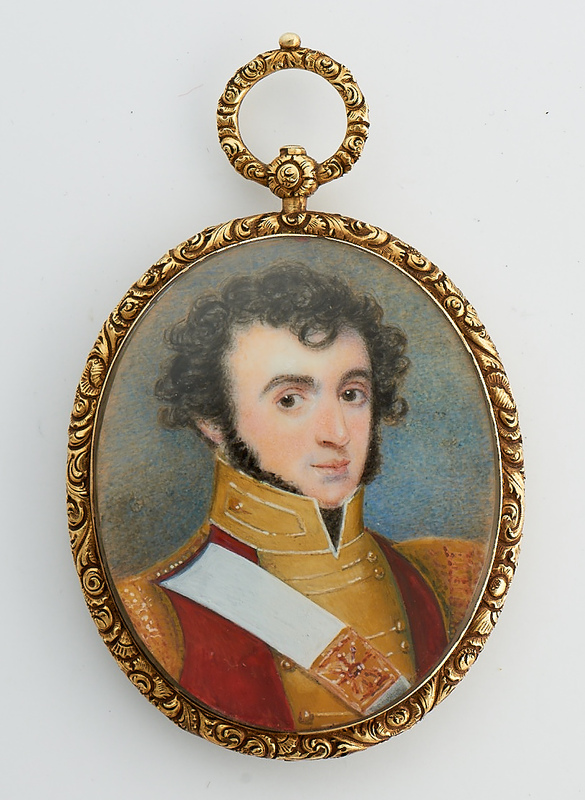 There can be no single expert on all the extensive fields of military collectables but Bosleys are most fortunate to be able to call on its army of consultants, many considered to be the leading authority in their particular specialist field. The sales are held in a fine Georgian country house on the Thames and attract buyers from all over the world; often overseas clients incorporate a sale date within their business trip or holiday. It is in these fine settings that lots can be viewed at their best, uniforms fitted onto mannequins, headdress on hat stands, each carefully handled with respect by a team of knowledgeable porters. A bonus for their clients is the ability to actually view during the sale, this enables one to view, buy and clear in the least possible time. The introduction of live internet bidding has made buying at Bosleys even easier and a secure packing and postal service from our designated shippers, means you can bid and unwrap your purchase from the comfort of your home. 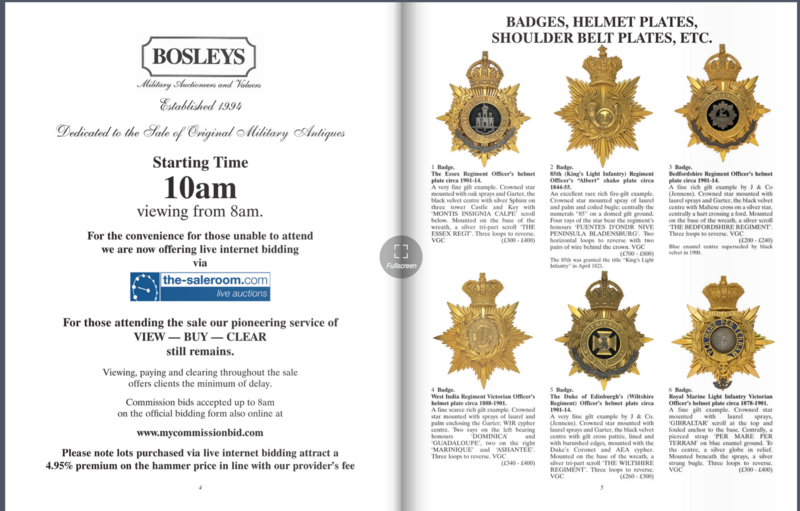 Bosleys also hold regular specialist postal auctions of military cap badges, shoulder titles, collar badges, lapel badges, formation signs etc.The last 22 years have provided a number of surprises, one following a telephone call from a gentleman who had found in a chest what he described as an old red hunt jacket with sequins on the collar, in due course a rather battered parcel arrived containing an important scarlet coatee worn by an Officer of the Life Guards circa 1820, the hammer was to fall at £5,600 ! It has also shown the dark side of collecting, the partners told me that often after a death a family are confronted by a mass of badges, helmets, uniforms, swords etc, their values unknown and often thought worthless, they are disposed off at a fraction of their true value in a local auction or to so called friends. It was after one such case that Bosleys introduced a service where by details could be lodged with solicitors and family on what to do after a collector's demise to provide the best return for the family. 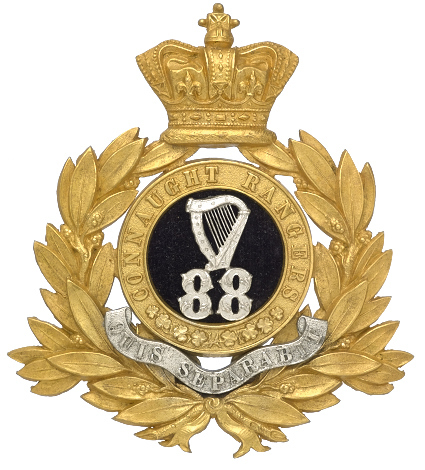 This service resulted in the saleroom acquiring a mass of cloth insignia from an elderly widow who was approached by a local friend and collector of the deceased and offered £200 for the collection; he should be ashamed as the final price achieved by careful lotting in Bosleys postal auctions was in the region of £10,000. What of the next few years? Who can tell, it is the Partners aim to continue giving the best possible service to their clients, be they vendors or buyers and to continue to uncover previously forgotten military splendours. 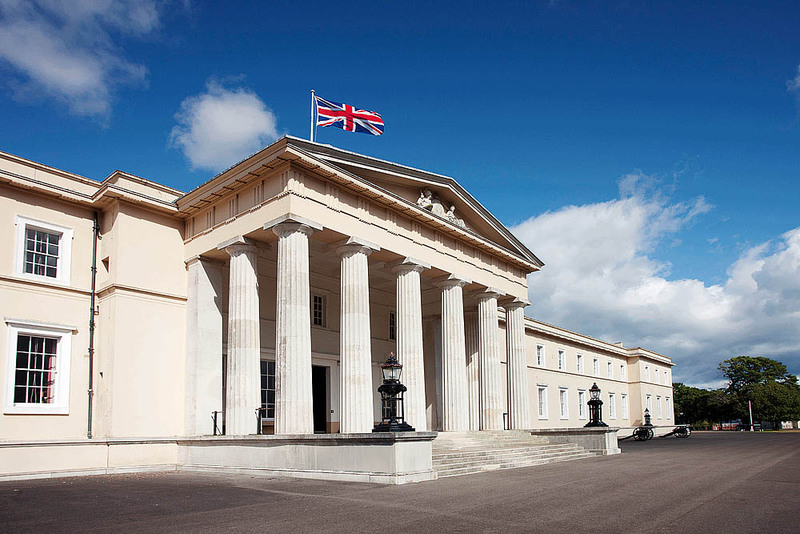 Bosleys are pleased to have recently completed their biggest project to date, a really fascinating valuation of the vast and prestigous Sandhurst Collection for Royal Military College Sandhurst. The valuation team were given unrestricted access to this important unique collection which housed many wonderous gems not seen by anyone since the day they were originally placed in their cellars. Bosleys continue to help and advise regiments, museums, including the National Army Museum, charities, the Royal British Legion, film and television companies, collectors, deceased collectors' families and widows as well as the General Public through the medium of radio. In recent years, they have undertaken regular "phone-in" valuations and advice programmes on LBC with Therese Birch, BBC Radio Oxford with Jonathan Hancock and the late Alison Booker, BBC Radio Berkshire with Andrew Peach and BBC Three Counties with John Pilgrim. Recent radio interviews have taken place with the BBC in Scotland, Ireland's RTE and Dublin's 4FM. Bosleys have also assisted the BBC's television series "Cash in the Attic" and several of the programs featuring Bosleys are regularly shown both here and abroad. Bosleys are privileged to act as the military advisers and auctioneers for Help for Heroes and have so far raised over £14,000. Should you have something suitable to donate to this fantastic charity, please contact: Vicki Brand, Help for Heroes 01725 514105 or the saleroom direct to discuss your donation. Bosleys are pleased to donate the entire vendors commission on any such lots to Help for Heroes.